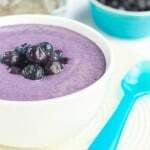 Blueberry banana breakfast smoothie – love blueberries? 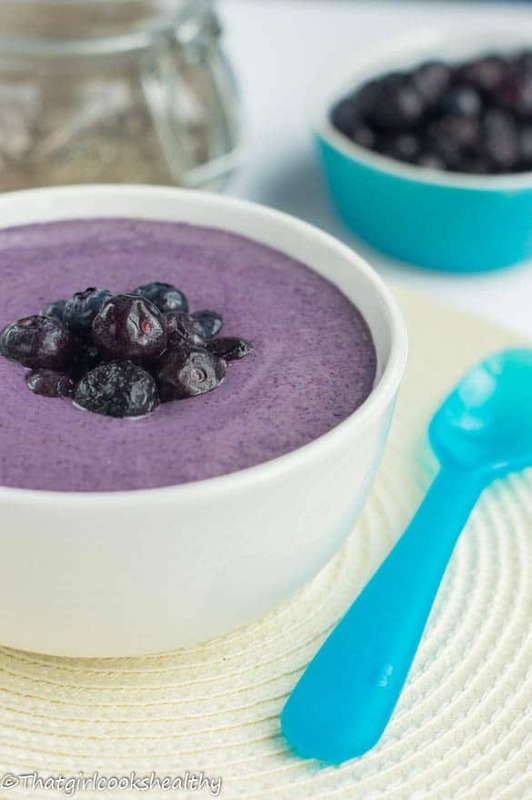 Then you will love this vegan smoothie that fits so neatly right into a bowl. Stuck with ideas for breakfast? Why not try this blueberry banana breakfast smoothie. The great thing about smoothies is how quick and convenient they are to make. I’m talking about whipping up a tasty delight in a matter of seconds. Living in the western hemisphere means life in the fast lane; go to school, college or doing that 9-5. Our lives are busy and bustling to say the least. I often speak to people from different walks of life who tell me that they “didn’t eat breakfast this morning” or “simply didn’t have the time to eat”. These statements bother me because our bodies need a jolt of energy throughout the day especially in the morning. The word breakfast is an adjective that means “breaking the fast” that fast relates to the length of sleeping time up until when we rise in the morning. Sleeping is essentially the time when the body takes a lengthy period to replenish and repair itself. As a matter of fact human beings can’t function without adequate rest, it’s a biological need. It’s so important for us to “break our fast” in the mornings with something, ideally healthy and nutritious. I like to start my day with a nutritionally dense smoothie. 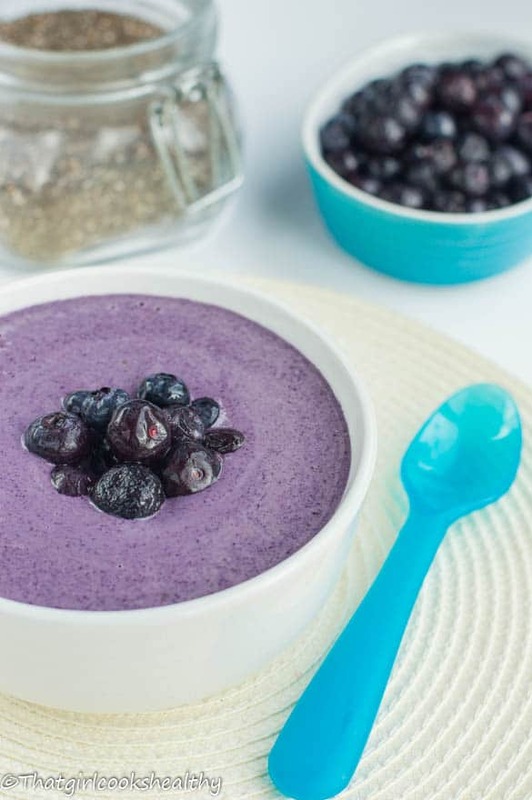 This smoothie is an antioxidant powerhouse, blueberries have some of the highest amounts of antioxidants – great for warding off free radicals which can damage our cells and lead to health adversaries. The oat meal provides a small helping of additional fibre and the chia seeds (again another superfood) and peanut butter yield an adequate serving of healthy omega fats. What really makes this smoothie filling is the coconut milk, not only does this suppress your appetite, it adds a velvet texture to the drink. Use gluten free oats if gluten intolerant. Hemp hearts are not essential, only optional. I tried this today for breakfast and it was so delicious. Thanks for the great recipes!